Australian politics must respond to current pressures with collaboration and creativity, rather than pitting economics against society, writes Bronwen Morgan, Professor of Law at UNSW Australia. A federal election approaches and, with it, a window of opportunity for big-picture conversations about potential future directions for Australia as a polity, a physical place, a society, an economy. As Dennis Glover has argued passionately in his recent book, and Eva Cox has echoed in The Good Society Policy Network, “an economy is not a society”. And picking up on the currently pervasive meme of innovation, it seems timely to ask collectively, what kind of “new” economy do we actually want to create? The recent story covered by Pro Bono Australia News about the demise, for now, of equity-based crowdfunding legislative reform is telling. The legislation was criticised as failing to help small cooperative and social enterprise businesses. This theme is worth expanding further: that there is much to be gained by responding to the current pressures on our economy and natural resources with a positive vision of a more socially and ecologically responsive economy built from the ground up, linking multiple small-scale initiatives across many different sectors. This would create more room for collaboration and creativity, rather than a zero-sum game that pits “state” against “market” and lines them up against implicit images of restrictive state regulation and economic growth. What if we were, for example, to make a creative interpretation of one of the recommendations of the report just handed down on 4 May by the House of Representatives Parliamentary Inquiry into the Register of Environmental Organisations? Recommendation five of that report proposes that environmental organisations who hold deductible gift recipient (DGR) status should be required to spend a minimum of 25 per cent of their budget annual on “environmental remediation”. While the committee report gives examples of planting trees and removing pest plants as environmental remediation, it also speaks more generally of “practical action to both improve skills and outcomes for biodiversity and natural resource management” (p. 34). The “practical action” of “environmental remediation” could range much more widely than planting trees, to encompass a range of experiments to create a new economy around innovations such as peer-to-peer initiatives, commoning, maker movements, sharing, collaborative economies, solidarity economies, localisation and cooperative movements. Such creativity has the potential to weave social and ecological values into the heart of exchange, and thus to address environmental law goals “from the inside out” – in short, environmental remediation. Around examples such as these can be crafted a larger story, or at least a big-picture debate, in which citizens across the board can engage. Here’s a starter proposition. Today’s economy is built on the foundations of a global industrial and financial system with immense productive capacity, but the extractive nature of which has created extreme income disparity and social injustice and wrought devastation on the natural world. What are different generative visions of the “new economy” and how achievable are they? More specifically, how can we reimagine work, exchange, money, care, law and our relationship with the natural world through the prism of a new economy? These questions catalyse the kind of conversation that will feed an appetite for systemic reform, and provide an anchor or a rudder for detailed debates about legislative technicalities in areas such as crowd-sourced equity funding or social enterprise legal models. They will help fuel a debate about the merits of a “new economy” that has the potential to change our economic system in a fundamental way, focusing it more on “people and planet” than on economic growth, linking systemic economic change to democratic empowerment, grassroots struggle and the pursuit of environmental and social justice. Of course, another, perhaps more familiar, understanding of “new economy” is equally important: a technology-led vision, increasingly centred on digital disruptors, such as peer-to-peer services like AirBnB and Uber. While this vision usually linked to intensified competitive dynamics and global mobility, there are fascinating possibilities emerging at the intersection of these two visions, each of which has a long history. What would be really exciting would be to draw on elements of both visions to imagine novel and inspiring ways of designing social, democratic, political and ecological values into the heart of technological platforms. This is about much more than current debates on both the ethics and the regulatory dimensions of the so-called sharing economy, important as these are. It is also about small-scale, community-embedded sustainable economy initiatives. The specific and sometimes elusive mix of what is at stake can be captured by a “tale of three conferences”. Championing ecological vision, social purpose and the promise of technology respectively, these three recent gatherings each contribute an important parameter of the debate that is needed. Taking place within less than six weeks of each other, the first was the meeting Local Lives, Global Matters, in Castlemaine, regional Victoria in late October 2015. Suffused with a commitment to the ecological health of people and planet, its vision of the future was embodied in localised economies, a challenge to traditional assumptions about the centrality of economic growth, and a critique of global trends in trade and investment. The second conference, Purpose 2015, was held in Sydney in early November 2015, focusing on stories of purpose-driven business, meaningful work and values-based leadership, from social enterprise to benefit corporations. The third, Platform Cooperativism, was described by its organisers as a “coming out party for the cooperative internet”, and championed the importance of shared ownership and economic democracy in relation to digital infrastructure: that those who provide and use the services and experiences mediated by internet platforms should collectively own and control the platforms themselves. This conference took place in New York but two shorter, local events featuring the original New York organiser Nathan Schneider will be held in Melbourne in late June 2016, under the title How to Make the Uber Economy Work for People and Building the Commons Economy. These titles together interestingly capture the tension embedded in competing versions of the “new” economy. Platform Cooperativism spoke very little about environment, ecology or sustainable development. Local Lives, Global Matters had only one session that mentioned the internet and digital technology. Purpose 2015, with its emphasis on social outcomes more than processes, sidestepped questions of economic democracy and shared ownership. Each conference, though, was abuzz with the energy, vision and excitement of several hundred people. Indeed, the kind of conversation we are advocating for around a new economy is happening all over the world, as this highly energising and interactive map from The Real Economy Lab vividly demonstrates. It would be productive, particularly in the context of an election where, as David Marr recently argued, voters are genuinely interested in change, to explore these issues in more detail in the Australian context. A conference will be held at Glebe Town Hall in Sydney on 16 and 17 August 2016, co-hosted by UNSW Australia and Australian Earth Laws Alliance that will contribute to this. The conference will include a plenary session on The City as Commons, exploring how different projects and ideas intersect with each other, and a second plenary exploring the idea of an Australian New Economy Coalition, whether for political advocacy, policy development or networking purposes. Whether at this conference, or in other settings, there is certainly the potential to fuse elements of this palpable appetite for change, coming from multiple perspectives, into a vigorous and stimulating brew that re-energises our coming democratic choices. 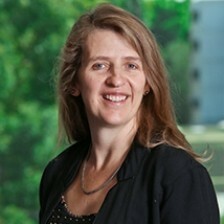 About the author: Bronwen Morgan is a Professor of Law at UNSW Australia and has been conducting a Future Fellowship Research Project funded by the Australian Research Council on the legal and regulatory support structures for small-scale sustainable economy initiatives in Australia and the UK. Excellent article. It is true that the 3 sides to this debate are disparate yet all working towards a common goal – even if that’s not expressly stated.